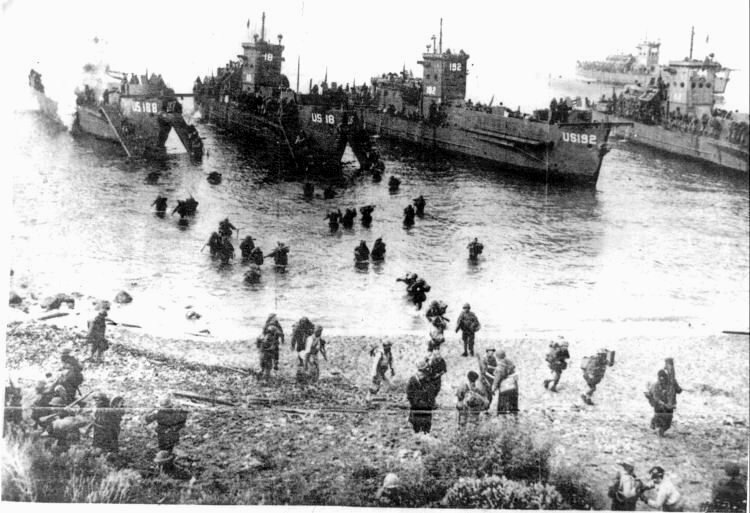 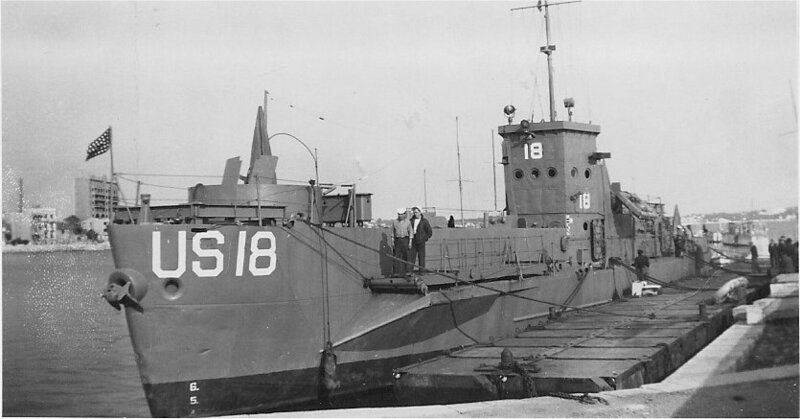 Laid down, 13 September 1942 at New York Shipbuilding Camden, N.J.
193k A DUKW amphibious truck with a load of blood and medical personnel moves in from a landing beach in the southern France invasion area on 26 August 1944, eleven days after the initial assault. 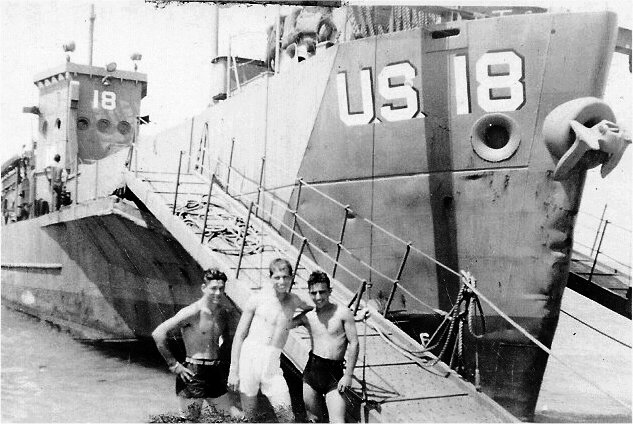 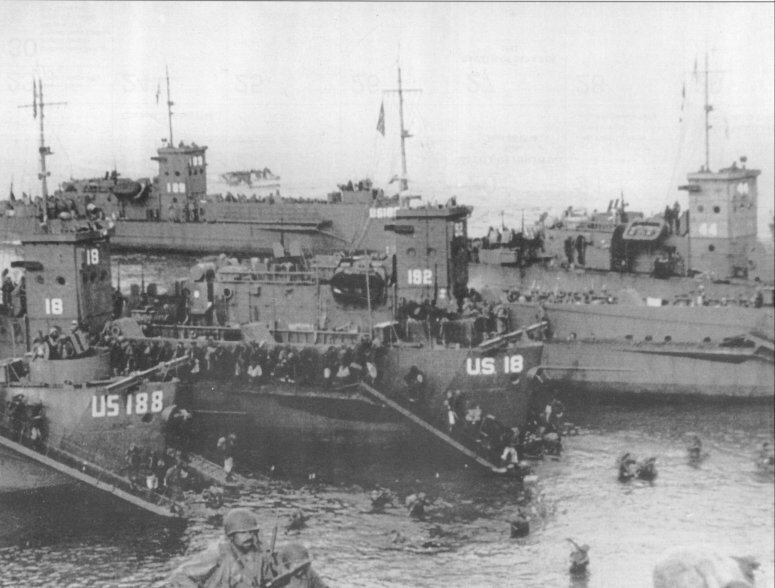 USS LCI(L)-18 is beached in the center background. 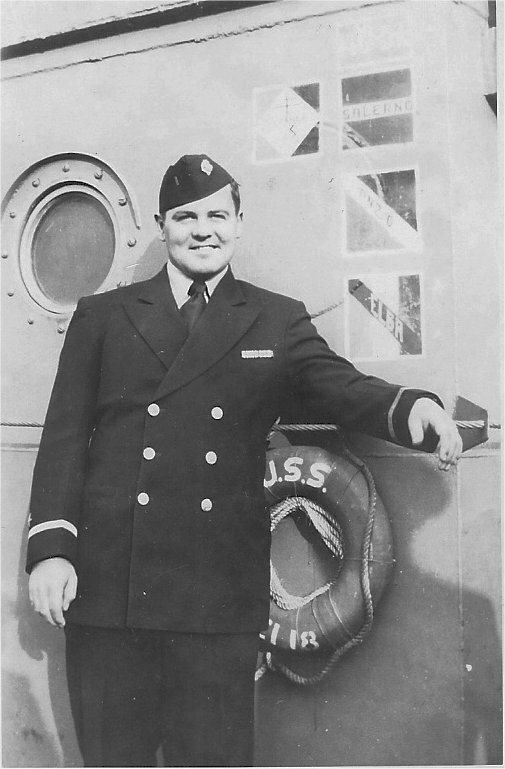 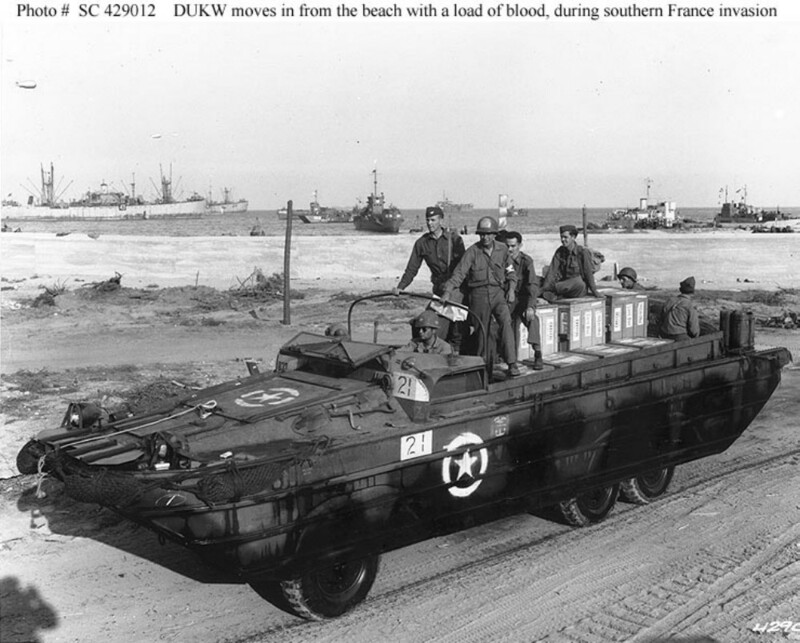 Note the Amphibious Forces insignia painted on the side of the DUKW.